Frank E. Cooper, 258 Broadway, New York, N.Y. Curt Teich Co., Chicago; 5A-H120. “C.T. Art-Colortone” Reg. U.S. Pat. Off. 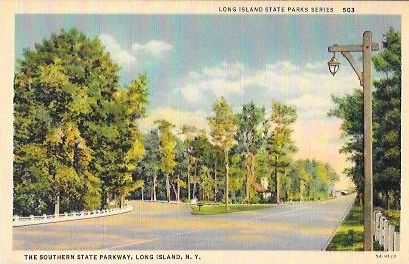 Long Island State Park Series, 503. Frank E. Cooper, 258 Broadway, New York, N.Y. Curt Teich Co., Chicago; 5A-H120. “C.T. Art-Colortone” Reg. U.S. Pat. Off. 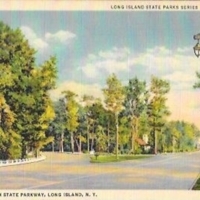 Long Island State Park Series, 503., “The Southern State Parkway, Long Island, N.Y.,” Hofstra University Library Special Collections: Digital Collections, accessed April 23, 2019, https://omeka.hofstra.edu/items/show/3183.